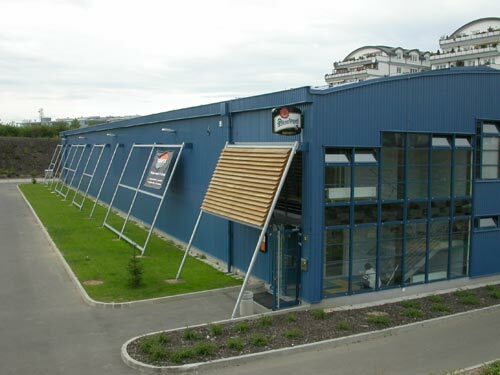 The arena offers a perfect comfort of four sheets, dressing rooms, and a club with the arena-view restaurant. 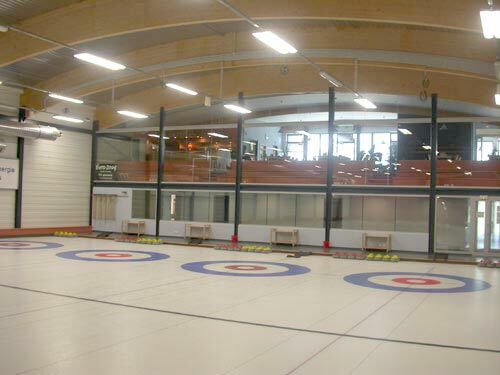 This sport with more than five-hundred-year tradition has been played in this facility by men, women, juniors, disabled curlers, as well as random players of social-sports events. 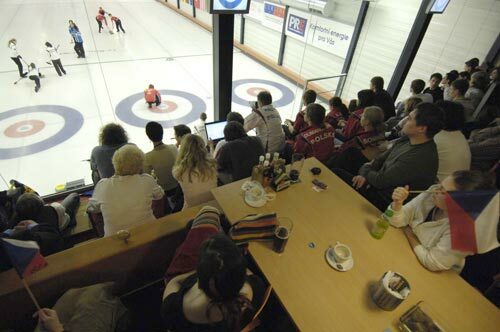 Curling has been played in the Czech Republic for more than 17 years, and thanks to its top level facility, Prague has become the Central European curling center. Curling is a sport for all ages. Despite the fact that a stone weights almost 20 kilograms, even 8-year old children are able to successfully play. 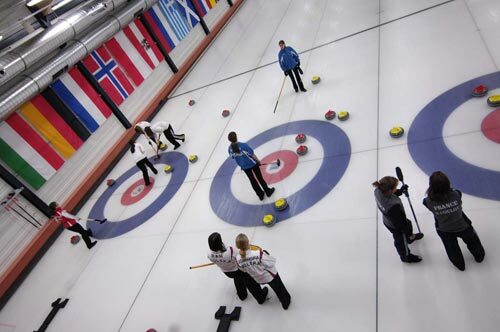 This is a winter Olympic medal collective sport, whose only correct name is curling, and which is played by almost five hundred of registered players in the Czech Republic. 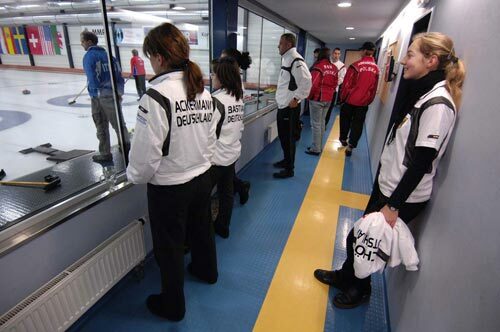 The ceremonial opening of the new curling facility in Roztyly by the president of the World Curling Federation, Roy Sinclair, in a form of cutting a tape and throwing the symbolic first stone, was the remarkable day for Czech curling. 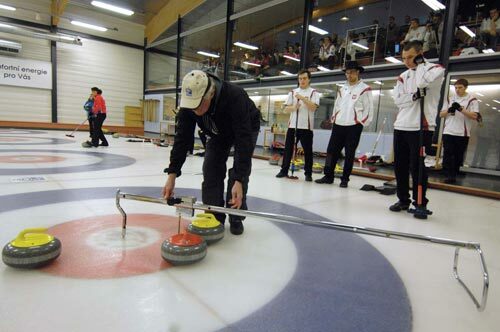 After that, Roy Sinclair highly regarded several-year effort and diligence of Czech curlers. 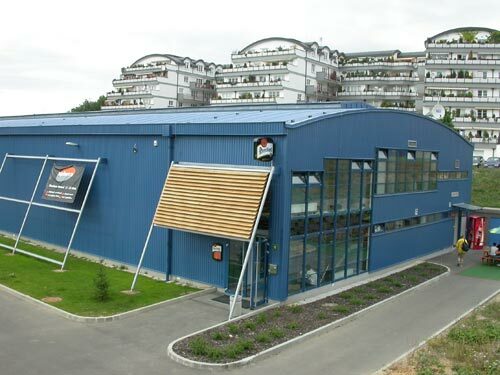 He expressed his belief that thanks to ideal training conditions, the Czech national teams will soon qualify for winter Olympic Games, and he ranked the facility among the best in the whole world. 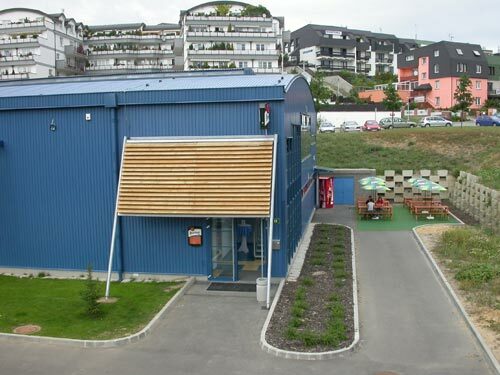 November 11th, 2005 The Curling Arena in Prague 4 - Roztyly received appreciation in Germany in the form of the IOC/IAKS AWARD 2005 of its wheelchair access design. 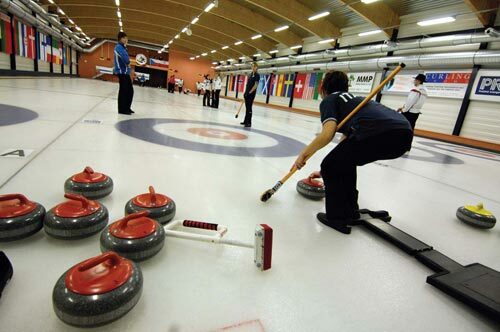 The decision on a prize for the Prague Curling Arena was made by a jury consisting of international experts, for instance from the International Paralympic Committee and the International Olympic Committee. Awards were granted to a total of 7 projects, sports facilities in such countries as Great Britain, Austria, Poland and Malta. The restaurant provides sufficient space for discerning guests. We can arrange get-togethers or company parties. reasonable prices, a modern environment designed in line with the FENG-SHUI principles, completely barrier-free access, a view of sheets, location close to the ROZTYLY Metro stop (line C), numerous free parking spots protected by a camera system, and a summer garden. The restaurant is open daily from 11 a.m. to 11 p.m.